We get lots of people contacting us for information about the best accommodation Kangaroo Island has to offer, so we thought we’d give you the details of a few great places to stay, and how to choose your accommodation when you hit the island. 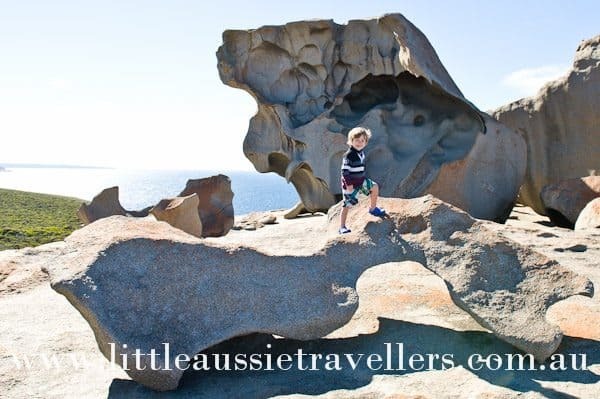 If you’re a regular reader of our blog, you’ll know that we love Kangaroo Island holidays. The island is a spectacular display of gorgeous wildlife, friendly locals and plenty of fun activities to do with the family. The best thing about choosing where to stay on KI is the huge variety of options you have to choose from. For a small island it would be easy to assume that you’d have limited choice, but the great news is that just isn’t so! 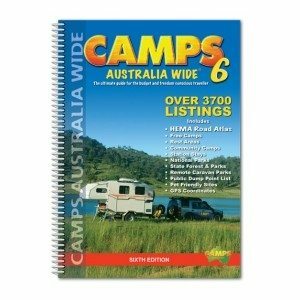 Budget Camping options on KI start at FREE!!! Yep, there’s a couple of spots that you can free camp on the island, one being the Parndana Hotel. We stayed there free on our visit, as we hadn’t really planned a place to stay for the night, so we went there for dinner…. it was a beautiful HUGE meal by the way, and decided just to pitch the tent. Other campsites cost from as little as $5 per night per car for council unpowered sites, and there’s also a range of private caravan parks that have great facilities too. 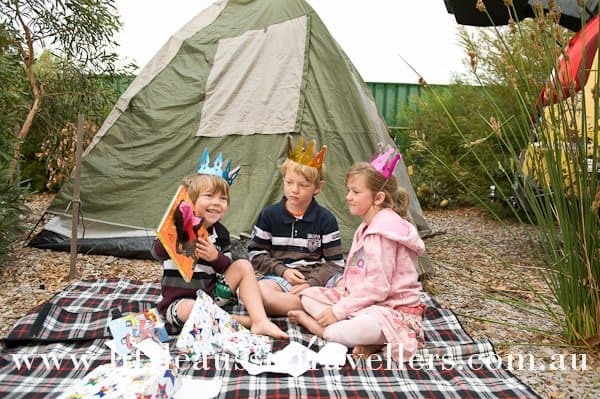 Council Campgrounds include: Emu Bay, Vivonne Bay, American River, Browns Beach, Western River Cove. These campgrounds are all self registering, and when we stayed were $5 per night unpowered or $10 per night powered. Get in early to avoid disapointment, as spots can’t be reserved in these locations. Flinders Chase National Park has campgrounds available, these include West Bay, Snake Lagoon, Rocky River and Harvey’s Return. Bookings are required, as is a parks pass as you’ll be travelling via the National Park. Contact them on. (08) 8553 4490. Other Budget Accommodation Options on KI start from around $30 per night for the Backpackers, through to $100- $150 per night for basic, but comfortable accommodation choices ranging from motels to cottages, we always use Wotif.com to book our accommodation, but it’s a great research tool to get a guide for prices too. If budget accommodation is not your style, then never fear, because there’s plenty of gorgeous places to stay on the island. 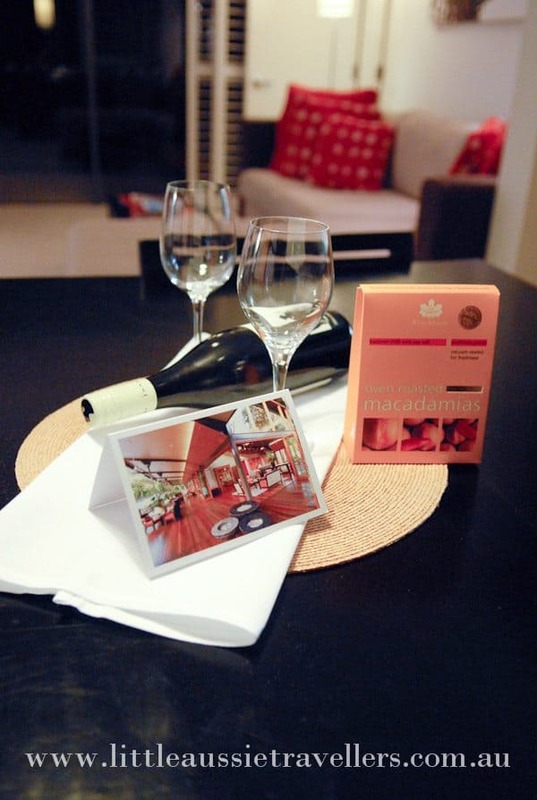 Southern Ocean Lodge is regarded as one of the most beautiful accommodation options in Australia. Prices start at just under $1000 per night, per person, however if that’s within your budget, it’s definitely worth a visit. For us, this would be one of those places we can only dream of visiting, but if you ever get the chance to go we’d love to hear about it. For those looking for a slightly lower budget, there are a range of farm stays, self contained cottages, B&B’s and luxury cabins to keep you cosy for just a couple of hundred dollars per night. From personalised hospitality at B&B’s to your basic hotel, KI has something on offer for every travel style and every budget. Because of the relative small size of the island, no matter where you choose to stay, you’ll be able to explore from your location with plenty of ease. If you’re wondering what’s to do on KI, this post we wrote after researching our holiday (but before we’d even hit the ground there) lists lots of the wonderful activities and attractions you’ll be able to see. Things to do on Kangaroo Island. You’ve been longing to escape the hustle and bustle that everyday life demands, to spend some peaceful, quality time with the kids. So imagine waking to the sound of sweet rainforest birds, whistling outside, perched on the balustrade of your own private verandah. You slowly roll over, remembering where you are. You look around your luxurious apartment, nestled amongst stunning rainforest as the morning sun glistens through the leaves, and into the window. 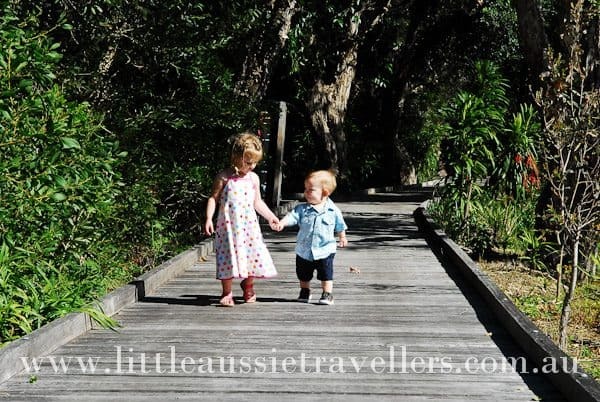 Ok, so in reality, this precious moment is possibly about to be invaded by little feet echoing through the fabulous living area, but when surrounded by the best that Byron Bay accommodation has to offer, then nothing can break the magic. By now, if you’re a regular reader of our blog, you possibly realise that we love camping, and it’s what we mostly do. 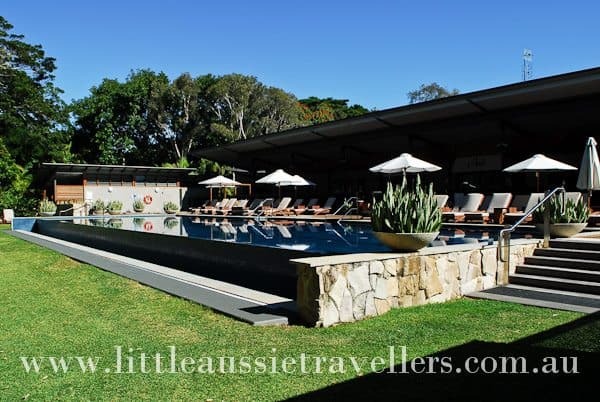 However, when we’re looking to treat ourselves to a gorgeous place to stay, then places like Byron at Byron Resort are great for families. 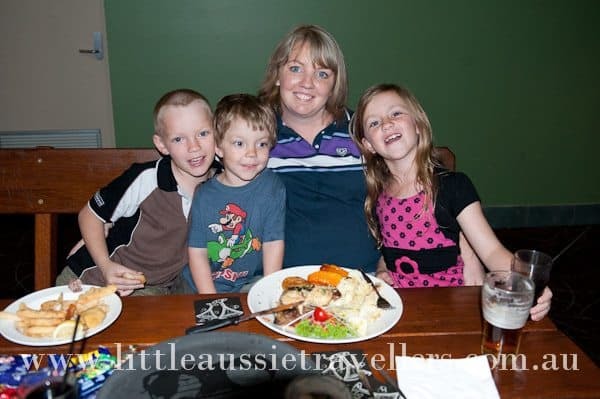 It may not be somewhere you’d expect to find a family, but never fear, it really is a fabulous place to stay, kids and all! 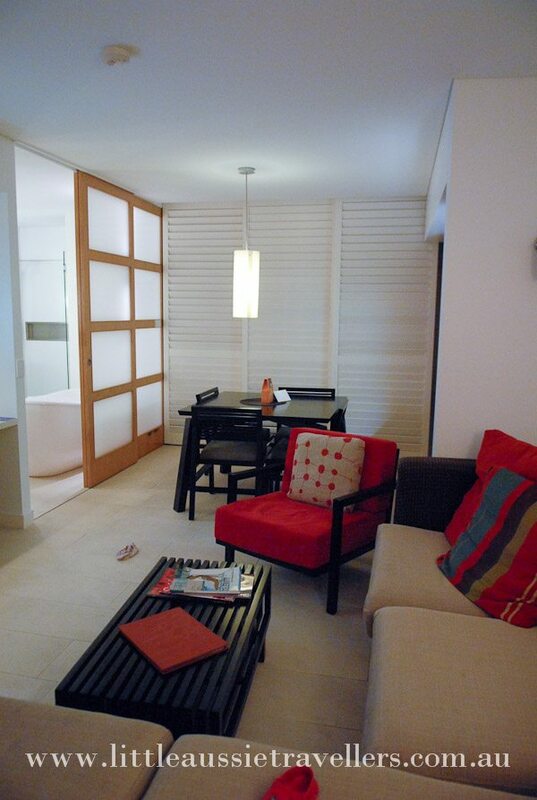 The rooms here offer all you need along with gorgeous textiles, comfortable beds and a spa! One of the most amazing parts of this resort is it’s eco credentials. Sitting on 45 acres of lush rainforest and wetlands, it truly feels like you’re secluded from society all together. The accommodation is nestled right within the rainforest with the buildings occupying less than 10% of the site, leaving lots of natural habitat so there’s plenty of wildlife around, and a superbly relaxing boardwalk that winds through the foliage leading out to a wetland habitat. 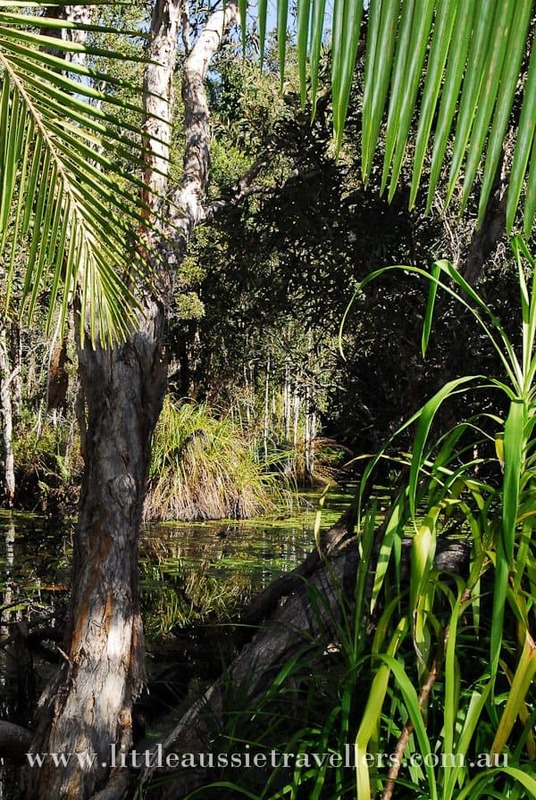 Byron at Byron has an active rainforest restoration and regeneration initiative in place, as well as carbon offset programs and Eco friendly operational systems. You’re not going to find kids clubs and activities at a resort like this, so if that’s what you’re looking forward to for your holiday then there’s lots of great resorts catering for that market. The Byron at Byron is for families looking to really escape from the hustle and bustle of the every day and treat themselves to a splash of luxury while they’re at it. The boardwalk winds through the resort giving children the opportunity to identify bird-life, reptiles, insects and other wildlife that is active. There is daily yoga on offer (who says kids can’t do yoga), and one of the great things about staying here is the close vicinity of Byron Bay itself. You’re literally only minutes away from some of the most stunning beaches in the world. While it’s easy to strike spa resorts off your list when looking for family holiday destinations, if you’re wanting a bit of a treat, then I do recommend considering it. We had a great time. You can see from the photos it was a couple of years ago now that we stayed, as the kids were much younger, but we’d go back for sure! 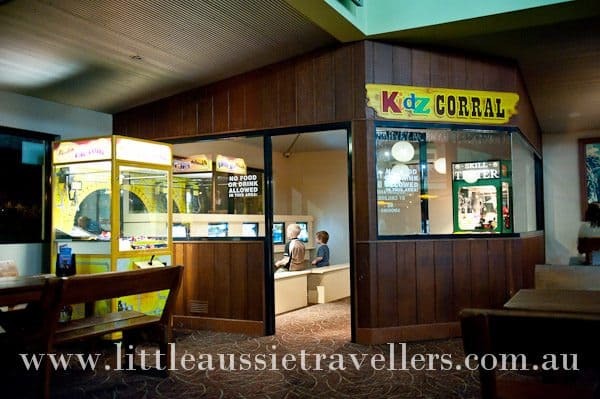 If you’re looking for somewhere to stay in outer Sydney with kids, the choices can be overwhelming. The choices can also be expensive. When our little guy was due to have surgery at Westmead Children’s Hospital, we needed affordable Sydney accommodation that was reasonably close, child friendly and affordable. So we did what we always do and headed over to wotif to take a look at the options. It can be really difficult to figure out if a motel is really worth staying at purely by what you see online, but when you have a family of 5, options are severely reduced as many hotels and motels only allow a maximum of 4 people per room. Paying for 2 rooms just isn’t an option, so we felt pretty happy when we found the Gateway Motel Vineyard on offer for a great nightly price. 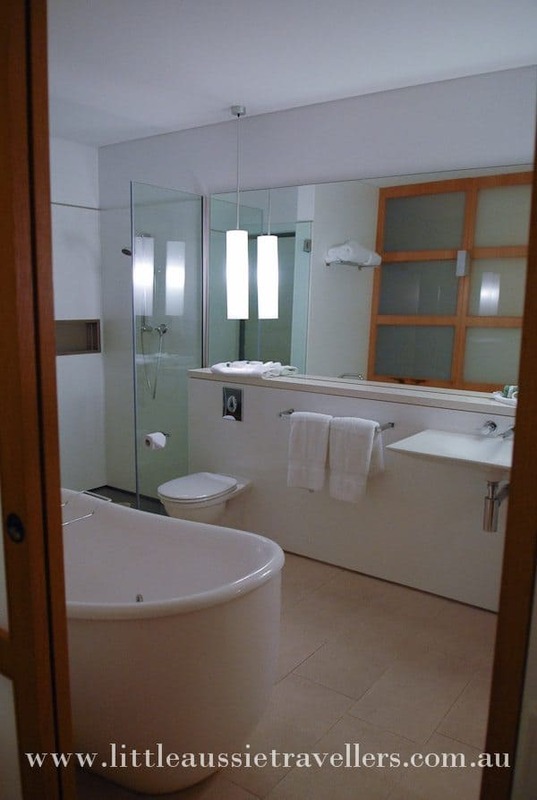 So when we headed back down to Sydney for the caravan and camping show in April this was the first place we checked for availability to book a room. Cheap Family Accommodation in Outer Sydney. The best thing about the Gateway Motel is it’s price. For a family of 5, you can stay in a comfortable, clean room for just over $100 a night. If you’re a family, you’ll know that this is a great price! If you’re after Hilton style, flashy accommodation, then look elsewhere, but for those looking for somewhere to lay their heads for the night, a place the kids can relax and do their thing. 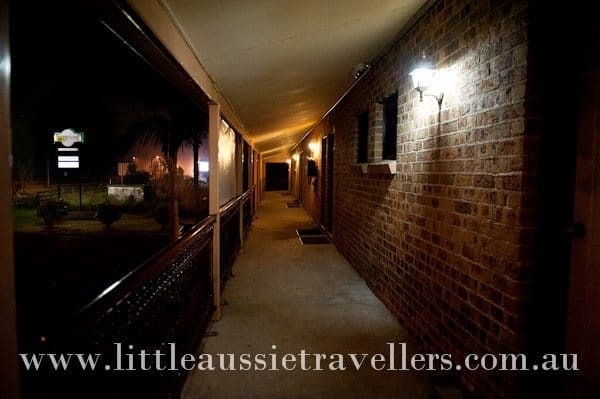 A tv, tea and coffee facilities, reverse cycle air conditioning, foxtel and lots of great conveniences, that’s clean and the staff are friendly, then this motel will be all that you need. Accommodation Close to Dining in Outer Sydney. The rooms at the Gateway don’t come with a kitchen, but they do offer something even better! 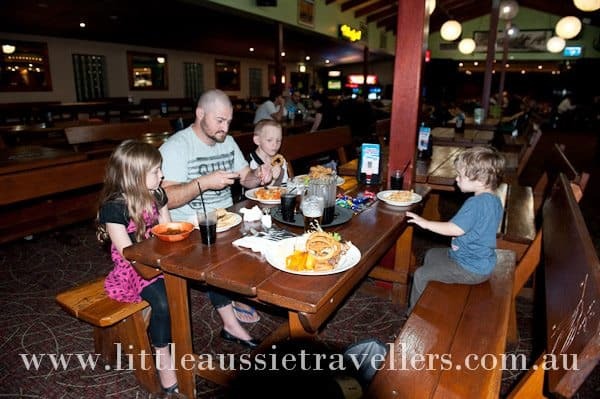 Walk next door to the hotel and you can dine in a huge family friendly restaurant area with super yummy meals that are priced well for families, and there’s plenty of variety to suit everyone’s tastes. The dining area is open for lunch and dinner and you won’t be disappointed. For breakfast, we were always heading off early anyway, and throw a few up and go drinks in the fridge and the kids were happy with that until we could head off and get breakfast elsewhere. 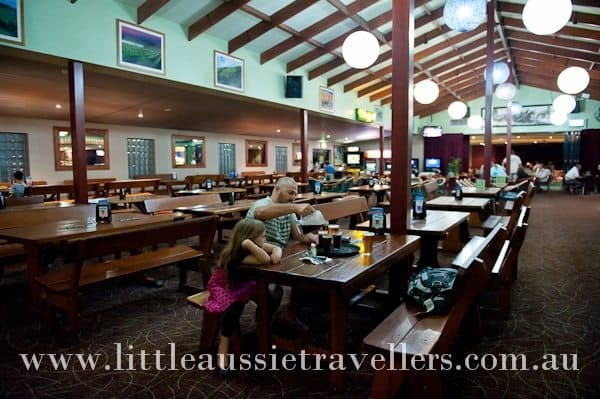 Something nice about having a hotel with dining next door is that it’s just a few metres to stroll next door and have dinner, mum and dad can also have a wine or beer without having to worry about driving, and everyone gets to relax and enjoy the atmosphere. We threw a few dollars in the juke box, probably much to the dismay of the younger teens who were there, as we pumped out old favourites like The Eagles, Fleetwood Mac and others. As mum and dad are kicking back with full bellies from their yummy dinner, and peacefully enjoying a few wines, the kids can play the evening away on the free video games that are provided. There’s also a range of paid racing games, pinball machines and skill testers that will keep them busy. We have stayed at the Gateway Motel in Vineyard twice now, and we’ll be back again. It’s located in the outer Sydney area, near Windsor, and offers a great outlook as you drive out past paddocks and farms. For those who are looking for a more relaxed option than the hustle and bustle of closer city motels, then this is great. There is a large service station across the road that’s open for incidentals if you need to buy them, and in the 2 times we’ve stayed there it hasn’t been rowdy or overly busy, although I guess that might change over a busy weekend. Sydney city is about 45kms away and Parramatta is around 24kms away. Both are easy enough to get to from here. Have you stayed here? Or found a great hotel for kids? Let us know about it in the comments below! The Great Ocean Road offers a special road trip opportunity, that allows families to make the most of some of Australia’s most unique landscapes and stunning coastline delivering a wilderness playground right at their fingertips. 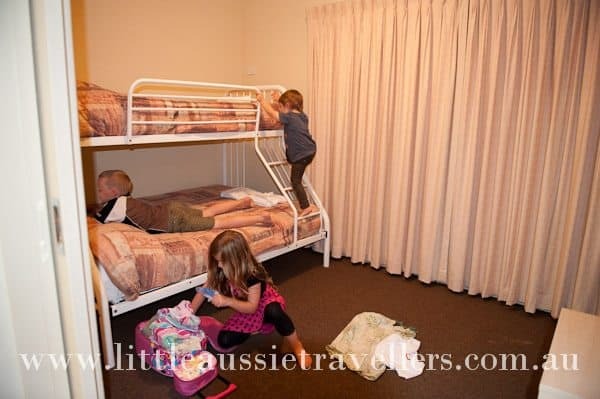 Our feature series on the family travel along the Great Ocean Road began with a general introduction, and now continues on to some great budget family camping and cheap family accommodation ideas for a fulfilling family road trip adventure. 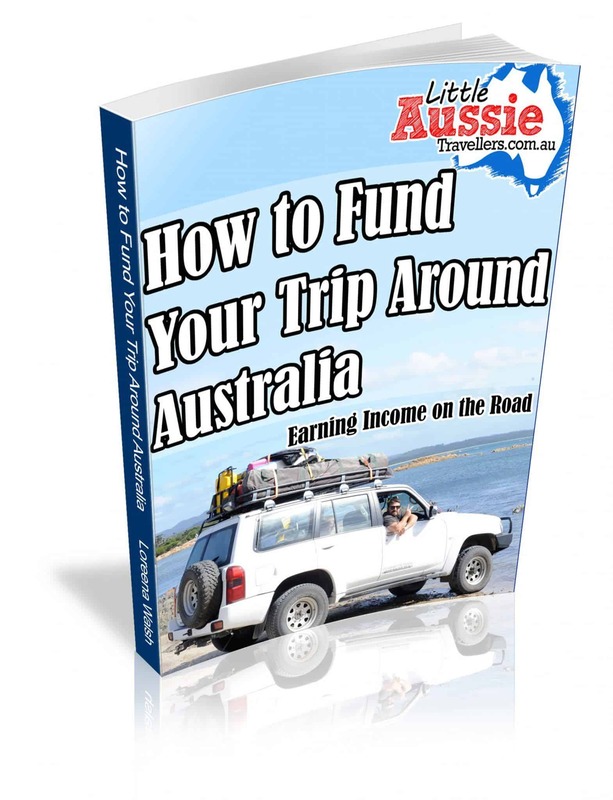 While it’s not possible to go Free Camping along the entire Great Ocean Road journey, it is possible to plan your trip to make the most of the options that are available. 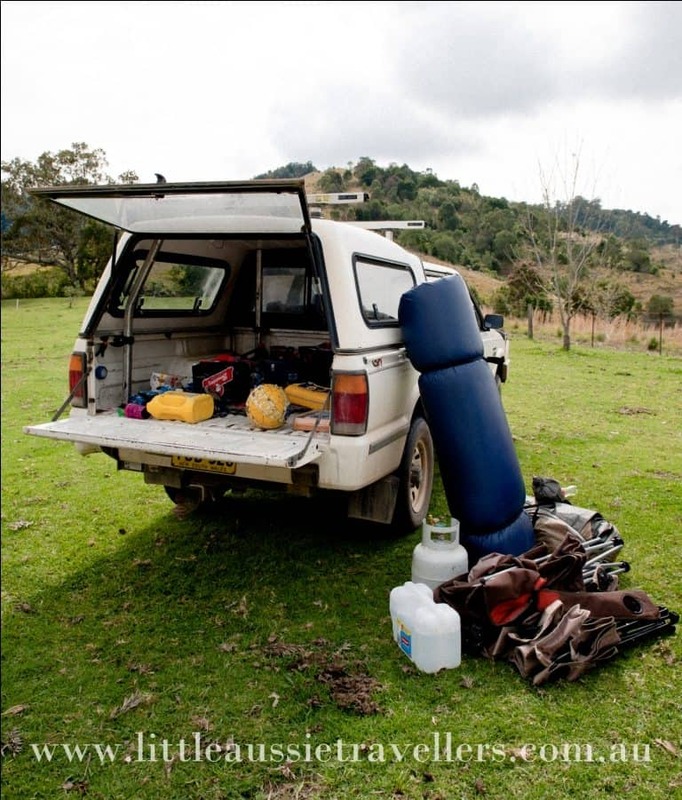 If you’re not familiar with some of the considerations that are important when free camping, then don’t forget to take a look at our free camping tips. The council has ruled that there is no Free camping within residential or commercial areas along The “Surf Coast” of Victoria, which encompasses the beginning of the Great Ocean Road near Torquay right through to the Lorne area, also taking in the towns of Anglesea and Aireys Inlet. The region has quite strict rules when it comes to free camping, and has ruled that the only Free Camps are within National Parks across the region. Camping is only allowed in allocated camp zones, and these are few and far between. For the most part, camping near Torquay, right thorugh to Aireys Inlet will need to be done within caravan parks. If you choose to take the risk to free camp, you can expect a $125 fine from the council rangers. Torquay Campgrounds: Torquay Holiday Park, Torquay Foreshore Caravan Park and Jan Juc Holiday Park. Pricing starts at around $25 off peak/mid week for 2 adults. Basing on an average of 2 adults and 2 children for families, you can expect to pay from $40 to $70+ per night for a powered campsite. Unpowered sites are mainly offered during Peak seasons, but are available at some parks. 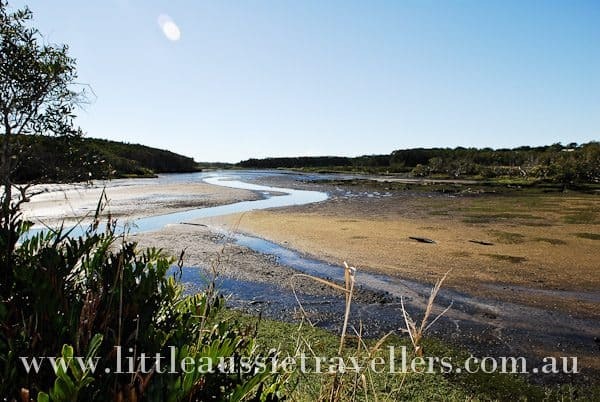 Tip: If you’re starting your Great Ocean Road travels from Late December right through January, then Barwon Heads which is not far from Torquay, offers Riverside camping with over 220 unpowered sites at a great price of only $220 per week for 2 adults and children included. 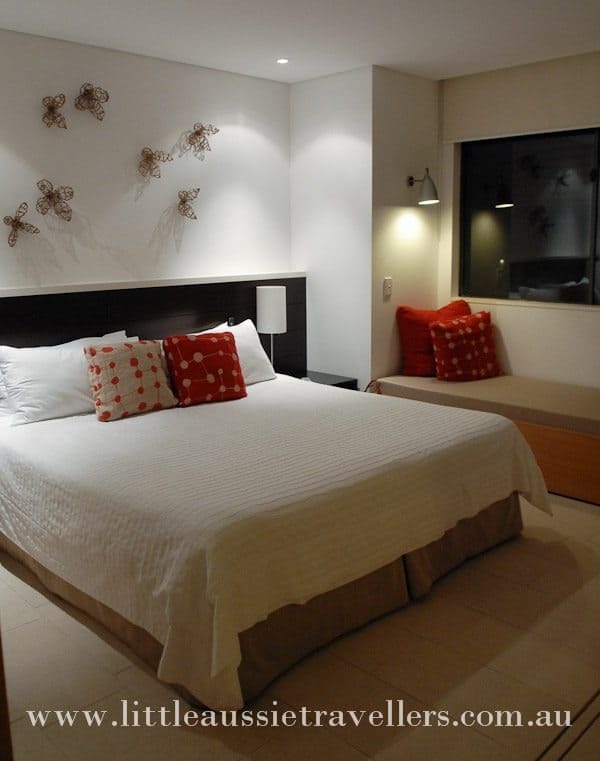 This option is great for peak season travellers who are on a budget and are self sufficient. As we move down the Great Ocean Road toward National Park areas, free camping sites start to arise. These great spots are most commonly within National Parks, so will often be some way from the main road, and will generally require some level of self sufficiency whilst camping. Please be sure to take your own drinking water into these campgrounds. 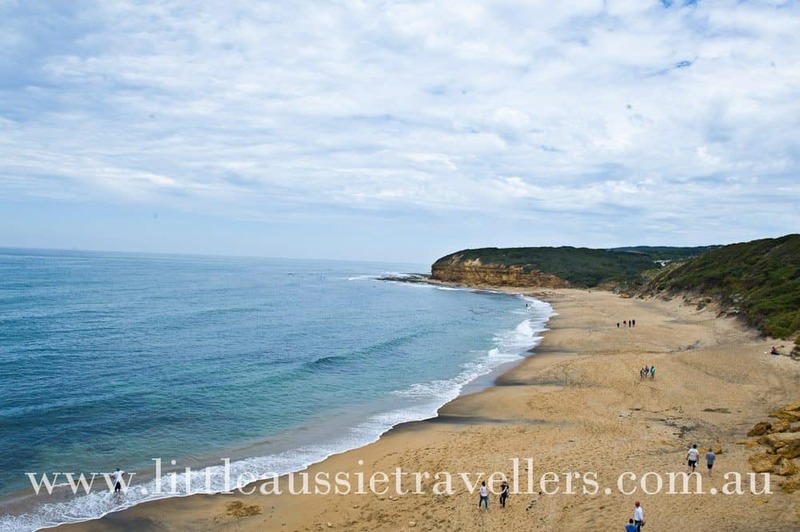 Aireys Inlet Paid Campgrounds: Major park is: Aireys Inlet Holiday Park which offers camping for families around $40+ a night for 2 adults/2 Children in a powered campsite depending on the season. 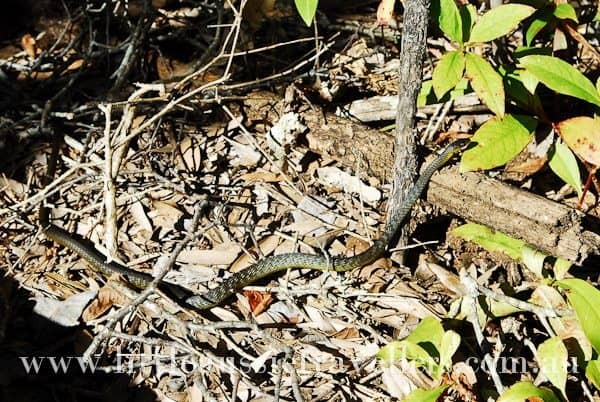 Free Camping Near Aireys Inlet: Hammonds Road Campground (Great Otway National Park) is around 10kms from Aireys Inlet. 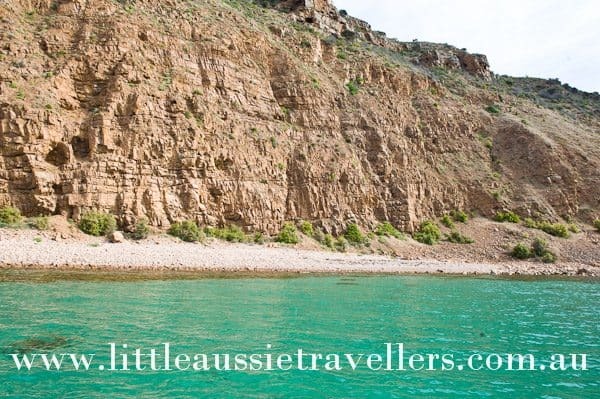 There is around 9km of dirt road, offering 10 tent sites and 5 caravan and camper sites, it is open all year around and has a 4wd recommendation. It offers drop toilets. Lorne Paid Campgrounds: Lorne Foreshore Caravan Parks are 5 parks offering a range of camping options, all looked after from the same office. All camp sites are powered and range from around $43 + depending on the season for 2 adults and 2 children. 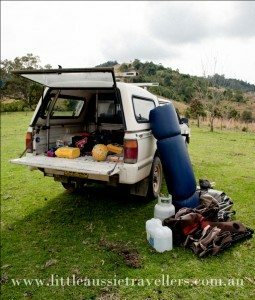 Free Camping Near Lorne: Big Hill Track (Great Otway National Park: Around 12 kms on the Lorne-Deans Marsh Rd . 20 campsites with access for caravans, campers in dry weather, and tents. Toilets available. Closed from June to end of October. 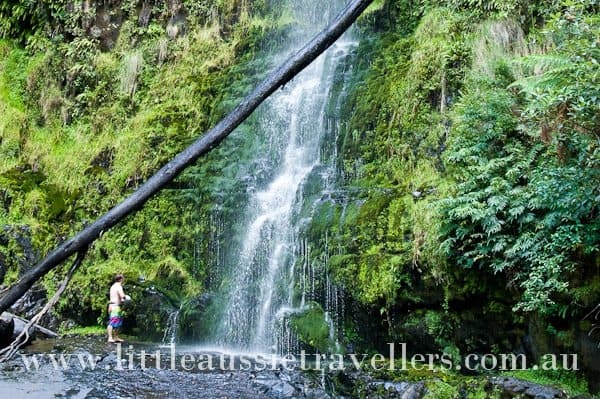 Cora Lynn: Erskine Falls Road – Required to walk in approx 1km via Cora Lynn Cascades Foot track to 2 small camp spaces. Allenvale Mill Site: Allenvale Rd (Great Otway National Park): 20 campsites in forest beside creek, a short walk from car park, open year round, toilets available. Sharps Track – Via Allenvale Rd, turn onto Garvey track, then Sharps Track. No toilets, 8 camping spaces available, Access to Kalimna Falls, but no toilets are available here. Just down the road from Lorne is Cumberland River Holiday Park – Paid camping sites for a family of 4 range from around $55 off peak, variable depending on the season. Jamiesons Track is on the way South of Lorne and offers bush camping, without facilities. It’s accessible only by 4wd, subject to seasonal access. Use the map above to take a look at the locations for the camp grounds we’ve mentioned. The $ signs are paid campsites and the tent symbols offer free camping options. It becomes quite obvious, that the more self sufficient you are as a camping family, the easier it is to find camping areas along this route. While some of the caravan parks along the way are pet friendly, it’s important to remember that travelling with dogs or other pets into the National Park is illegal, so it will make it impossible to camp there without making other arrangements for any pets you may be travelling with.